This review discusses a new book about the foundations of property rights. The Federalist Society takes no positions on particular legal and public policy matters. Any expressions of opinion are those of the author. We invite responses from our readers. To join the debate, please email us at info@fedsoc.org. 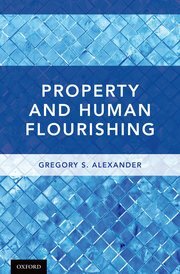 Gregory Alexander’s new book Property and Human Flourishing is a major attempt to remake the theory of property rights on new foundations. Instead of justifying property law on the basis of natural rights or utilitarian welfare-maximization, Alexander seeks to ground it on a theory of “human flourishing.” After outlining the foundations of the theory, he then applies it to such varied issues as reparations for historic injustices, the extent to which property owners have the right to destroy their holdings, historic preservation laws, the use of eminent domain, and the alleviation of low-income housing shortages. The book makes many interesting points and is clearly a significant contribution to property theory. But it also has some notable drawbacks. Most traditional theories of property rights justify them on the basis of natural rights, utilitarian consequentialism, or—occasionally—a combination of the two. Alexander contends that such theories are inadequate, and indeed that no one-dimensional “monist” theory can come close to fully accounting for the value and limits of private property. Instead, he proposes that property be analyzed under a “pluralist” framework intended to promote human flourishing. What does human flourishing consist of? Alexander identifies four key elements: “life, understood to include certain subsidiary values such as health; freedom, understood as including the freedom to make deliberate choices among alternative life horizons; practical reasoning; and sociability” (9). Alexander’s human flourishing theory is both consequentialist and (at least potentially) paternalistic. It is consequentialist in the sense that it seeks to produce empirical results rather than relying on moral principles whose validity is independent of the consequences of specific policies. It is potentially paternalistic because Alexander argues that people should be provided with these four prerequisites of human flourishing even (at least in many cases) where they may not value them or may prefer to trade them off for other goals. Human flourishing, in his view, is “objectively” valuable, not merely worthwhile only in so far as people want it (e.g. 26-28). In my view, Alexander is right to argue that an adequate theory of property rights should be “pluralistic,” as he puts it, and that property law should not be based on any one single value to the exclusion of others. But I fear that his own theory is not pluralistic enough. Among other things, he does not sufficiently explain why his version of human flourishing should be privileged over other considerations, and especially not why it should be imposed even on many people who may be willing to cut back on aspects of Alexandrian flourishing in order to pursue other goals. For example, a loner may not want or need as much “sociability” as Alexander posits to be necessary. Some may prefer to exercise their freedom by making most important decisions by intuition, rather than deliberation. And so on. One of the main advantages of strong property rights is the opportunity they give owners (and often others) to pursue values that may not be respected or even understood by majority public opinion. The same goes for values that may not fit even the best formulations of human flourishing. Alexander’s theory of flourishing is also sometimes difficult to apply. He recognizes that its components may sometimes conflict with each other, thereby necessitating tradeoffs. But he also contends that such tradeoffs are feasible, despite the fact that some of the values integral to the theory are “incommensurable” with each other (28-35). Alexander argues that we can make “rational” choices among “incommensurable” values by engaging in “practical reasoning,” and that judges deciding property cases can do so by finding “the best interpretation of the lawmakers’ vision of justice animating the rule in question . . . and then [seeing] how the competing and incommensurable moral values best fit together to advance that vision” (34). I am skeptical that real-world judges are likely to accomplish such a herculean task well, especially given limited knowledge and the possibility of ideological and other biases. This last issue highlights a more general shortcoming of some of the analysis in the book. Alexander emphasizes that the human flourishing theory is a consequentialist approach to property law. Whether it can be effectively implemented depends on whether institutions such as courts, legislatures, and bureaucracies can properly apply it under real-world conditions. But in discussing the application of the theory to various specific issues, Alexander sometimes loses sight of these crucial institutional questions. For example, Chapter 8 includes a thoughtful discussion of the strengths and weaknesses of historic preservation laws (236-48). Alexander argues that such laws can serve important community interests, but also recognizes that they can potentially impede important development projects. 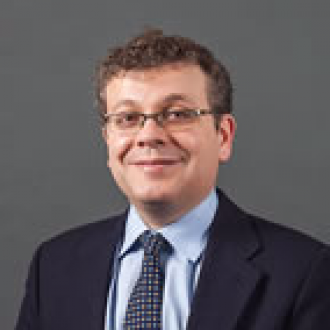 He argues that a well-functioning policy can balance the two objectives against each other, and that to do so “the process for making preservation decisions should be as democratic as possible” (248). Unfortunately, Alexander does not consider whether a “democratic” process can really make these sorts of fine-grained decisions well, given extensive evidence of widespread political ignorance and biased thinking among voters. It seems unlikely that a maximally democratic process would actually perform this function well. Similarly, Chapter 7 critiques the Supreme Court’s controversial decision in Kelo v. City of New London (2005), which ruled that the Fifth Amendment’s requirement that takings be for a “public use” does not bar the use of eminent domain to condemn private property for transfer to a new private owner in order to promote “economic development.” Alexander argues that the Court was wrong to uphold the taking at issue in the case because it underestimated the value of homes for promoting human flourishing, while overvaluing the “attenuated” economic benefits of the project for which the property was condemned (213-15). Instead of upholding takings for any private enterprise that could potentially benefit the public in some way, the Supreme Court should have weighed the extent to which a taking threatens the “core values” of property, such as the autonomy, security, self-expression, and “responsibility” associated with home ownership (223-29). I agree with Alexander’s conclusion that Kelo was wrongly decided, and with his more general view that “[t]he public use requirement need not be the anemic doctrine it currently is in the United States” (229). But I wonder whether judges are likely to be able to consistently and rigorously apply the concepts of “core values” and human flourishing advanced by Alexander. Both homes and commercial properties vary greatly in the extent to which they advance the values he references, and homeowners vary in the amount of value they attach to their property. Alexander himself attempts to distinguish between primary residences and secondary ones and argues that the former deserve stronger protection against expropriation than the latter. Given such constraints, a rule-based approach barring or severely limiting all takings for private projects might be preferable to one that attempts to provide special protection to homes or other specific types of property. An important part of the analytical framework underpinning Alexander’s theory is the idea that many legal limitations on property rights are often justified by obligations of “neighborliness,” a metaphor he adapts from Nancy Rosenblum (70-71). Good neighbors, Alexander suggests, recognize that they have reciprocal obligations to other members of the community and so should accept a variety of constraints (71). Perhaps so. But here too, institutional insight is sometimes lacking. Robert Ellickson’s classic study of how actual neighbors settle disputes finds that they often prefer to avoid resort to government-enforced legal rules, in favor of informal negotiation and dispute resolution. Settling disputes without involving lawyers and government officials not only reduces litigation and enforcement costs, but is seen as essential to maintaining true neighborliness. As one California rancher told Ellickson, “[b]eing good neighbors means no lawsuits.” That certainly does not prove there should never be formal legal constraints on property rights, or that courts and regulators have no legitimate role to play. But it does suggest that a property theory based on the importance of neighborliness to human flourishing should be wary of imposing extensive legal mandates on property owners. There is much more to Alexander’s book than can be covered here. Despite the occasional weaknesses of his approach, Property and Human Flourishing includes much valuable material on both the general theory of property rights and a variety of important legal issues. I particularly like the discussion of reparations for groups that have been dispossessed of their land, which has valuable analysis of both why reparations may sometimes be justified and the dangers of trying to return land that has been in other hands for long periods of time (ch. 5). The book is likely to be considered a major achievement of its kind. But it could have achieved still more by incorporating greater sensitivity to the limitations of political and legal institutions. See, e.g., Ilya Somin, Democracy and Political Ignorance: Why Smaller Government is Smarter (2nd. ed. 2016); Christopher Achen & Larry Bartels, Democracy for Realists (2016). For my own critique of Kelo and modern public use doctrine generally, see Ilya Somin, The Grasping Hand: Kelo v. City of New London and the Limits of Eminent Domain (rev. ed. 2016). For a discussion of this problem, see id. at ch. 8. Robert C. Ellickson, Order Without Law: How Neighbors Settle Disputes 59-62 (1991). Id. at 60. I often highlight this part of Ellickson’s book for my property law students as a way of getting them to consider the potential downsides of litigation.